G protein-coupled receptors (GPCRs) respond to a wide range of extracellular cues to initiate complex downstream signaling cascades that control myriad aspects of cell function. 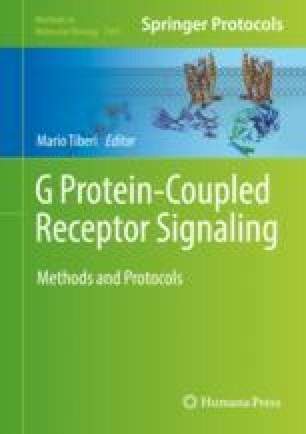 Despite a long-standing appreciation of their importance to both basic physiology and disease treatment, it remains a major challenge to understand the dynamic activation patterns of GPCRs and the mechanisms by which they modulate biological processes at the molecular, cellular, and tissue levels. Unfortunately, classical methods of pharmacology and genetic knockout are often unable to provide the requisite precision needed to probe such questions. This is an especially pressing challenge for the class C GPCR family which includes receptors for the major excitatory and inhibitory neurotransmitters, glutamate and GABA, which signal in a rapid, spatially-delimited manner and contain many different subtypes whose roles are difficult to disentangle. The desire to manipulate class C GPCRs with spatiotemporal precision, genetic targeting, and subtype specificity has led to the development of a variety of photopharmacological tools. Of particular promise are the photoswitchable orthogonal remotely tethered ligands (“PORTLs”) which attach to self-labeling tags that are genetically encoded into full length, wild-type metabotropic glutamate receptors (mGluRs) and allow the receptor to be liganded and un-liganded in response to different wavelengths of illumination. While powerful for studying class C GPCRs, a number of detailed considerations must be made when working with these tools. The protocol included here should provide a basis for the development, characterization, optimization, and application of PORTLs for a wide range of GPCRs. We thank the Levitz and Broichhagen labs for useful discussion, and all previous and current members of the Isacoff and Trauner labs for their contributions to the development and application of photoswitchable ligands and receptors. J.B. thanks Kai Johnsson for constant support. J.L. is supported by an R35 grant from the National Institute of General Medical Science (1 R35 GM124731).